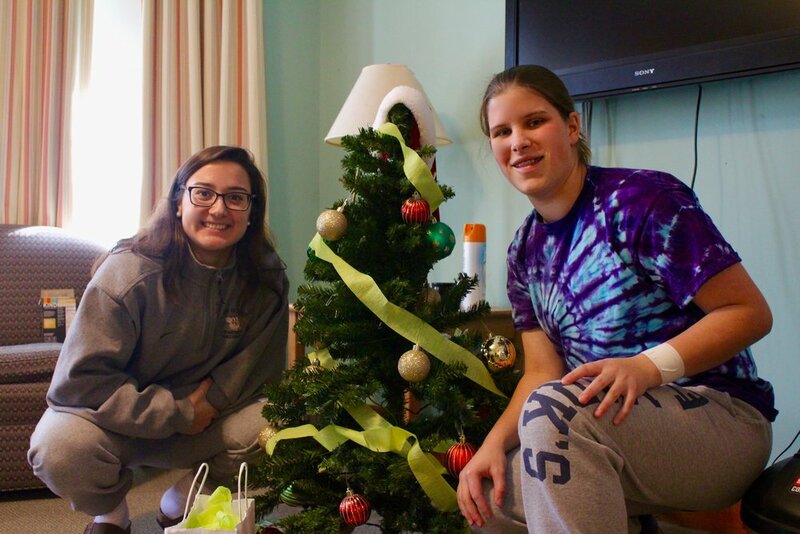 This year is the first year in which all dorms decorate their space for the holiday! We're sharing photos here to give you a sense. Every year, a number of our St. Mark’s students attend off-campus conferences to learn and discuss topics and issues surrounding diversity with other students from independent schools. Unfortunately, most of the students here do not know about any of these conferences that former and current students have attended due to lack of interest or exposure. I’m here to tell you that these conferences do exist, and they are worth attending. 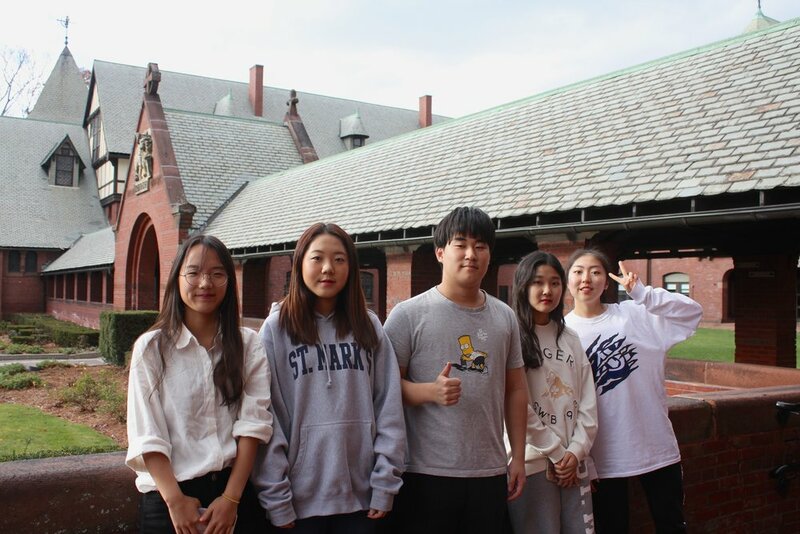 The four main conferences that St. Markers attend are the the Student Diversity Leadership Conference (SDLC), AISNE (Association of Independent School in New England) Student of Color Conference, White Privilege Conference, and Unconference. These conferences provide safe, open spaces where students from across the nation meet others to exchange thoughts, ideas, and paths to solutions on issues that schools face today. Although students who attend the conferences tend to be vocal about improving their schools’ approach on difficult issues such as race, gender, and socioeconomics, you could attend one of them to learn about something you never knew before. 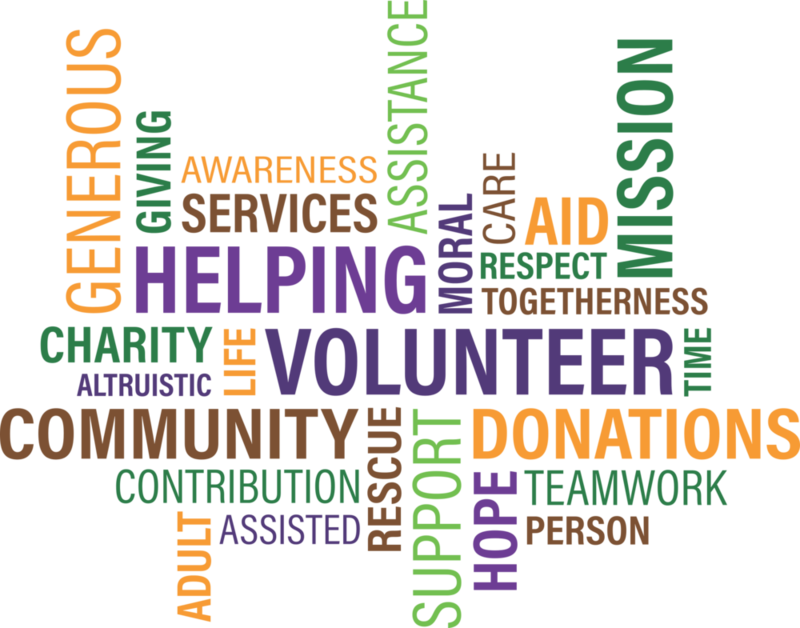 Each conference has a different focus on current social issues. For the White Privilege Conference, students examine what privilege and oppression are, and they work together to create solutions to make the world more “equitable.” Each year, 1,500 people attend this conference from different states and countries. Secondly, the AISNE conference is oriented towards supporting students of color and working on diversity education. Last fall came the addition of the Un-Conference, an event that is run by the attendees, who get to decide the topics that will be discussed. Anyone who wants to create a meeting space and time for a certain topic are open to do so. Lastly, there is SDLC, one of the biggest multicultural and multiracial conferences in the U.S. It is highly competitive to get into, for only six students from each member school can attend. The conference provides a safe space for discussion and teaches students to “self-reflect, form allies, and build a community.” Students learn to listen to one another and communicate effectively with others from different backgrounds and perspectives. Some students also take on a role as peer facilitators who lead small group discussions amongst students. Applying is highly recommended, as it is a worthwhile experience. These conferences are great ways to create connections with other students and learn about topics that are not typically discussed in school but that apply to our everyday lives. Anyone is welcome to attend any of these conferences– contrary to popular belief, it’s not for a specific “type” of person. Get off campus and go to one of these conferences. It will open your eyes to something you didn’t know before. Over the Trustee Weekend, Connor Browder ’19 and I had the pleasure of interviewing an SM parent and trustee Bill Isaac. Mr. Isaac is the former chair of the FDIC (Federal Deposit Insurance Corporation), the government department charged with insurance banks and maintaining public confidence in them, and today he is a Senior Managing Director at FTI Consulting in Sarasota, Florida. He served as the chair of the FDIC during the 1980s, in a tumultuous time for the economy, in which he had to manage nearly 3,000 bank failures. We discussed his economic philosophy (at the start of the video), tax legislation (at 2:16), banking regulations (at 6:45), current day polarization in America (at 15:32), and advice for high schoolers like us (at 18:39). A slightly condensed version of our interview is below. If you wish to see more from our interview, including information about Mr. Isaac’s role at the FDIC and his thoughts on Janet Yellen as the chair of the Federal Reserve, please feel free to reach out to me. The novelty of the beginning of the school year always brings lots of excitement to St. Mark’s and while we warmly welcome our new students and faculty members, one group in our community sometimes goes unacknowledged on campus: the new faculty dogs! So if you’re interested in making a new furry friend this Fall, be sure to be on the lookout for these four new members of our canine community! Name Origin: Pip was originally named Pickles then Sweetie for a little bit. Her current official name that she’s registered with is the Swedish word for heart. But her name is Pip, short for Pipsqueak, because she is small and squeaky. Fun Fact: She likes to play fetch with tennis balls and she will “touch” your hand with her nose if you ask her too. Name Origin: He is named after the Ohio State Buckeyes, without his owners final approval on the name. Name Origin: Lady is named after the Lady Byng, which is the NHL award for the player who has exhibited the best sportsmanship and conduct. Fun Fact: Lady cuddles with a stuffed moose when she sleeps. Fun Fact: She was adopted when she was a one-year old from the Washington D.C. Animal Rescue League. They had taken animals from a shelter in Cedar Rapids, Iowa after the river there flooded in 2009 and destroyed the shelter. Dr. Smith-Nichols is joining our science department from Moravian Academy in Bethlehem, PA where she taught Biology and Physics. Carol Smith-Nichols brings a wealth of experience from the elementary level through the collegiate level. She is teaching Advanced Chemistry and Honors Chemistry. She is living on campus and will coach tennis and squash.Her life is also much richer by her three cats Muffin, Nomar, and Xau. My favorite part of teaching is when I hear a student say “aha!” or “hmmmmm”. That means to me that either they’ve understood something really well (a lightbulb has gone off!) or they’re pondering the next step, asking themselves, what if? Either way, it’s very satisfying! I also really like seeing my students outside of the classroom, whether that’s in the dorm or the dining hall, it’s nice to get to know them as people and not just students. Are there any customs, traditions, or trends at St. Mark’s that strike you as unusual or especially fun? I really enjoyed the blessing of the animals in chapel early in October. It was fun to see everyone with their dog (or pictures of their animals), walking up the aisle through the chapel. Definitely a highlight of my first few months here. What is your favorite food or drink in the dining hall? In the dining hall, I really like the chilled water with lemon slices. I know that sounds silly but it’s always refreshing and reminds me of my native California. What’s your favorite article of clothing and why? My favorite article of clothing is my Birkenstocks! I lived and worked in Germany and a German tradition that I love is that you have a pair of shoes that are your outside, traveling shoes but also a pair of inside, at-work, thinking shoes. When you get to work you change your shoes. Everyone in my lab wore Birkenstocks at work so they remind me of being in a space where I’m thinking. Instead of a thinking cap, my Birkenstocks are my thinking shoes. Besides, I don’t have to tie laces! My always, eternal, forever favorite musician is Neil Young. He’s a Canadian (I’m half Canadian) who now lives in Los Angeles, where I grew up. His music always spoke to me about justice and environmentalism, and he’s always reinventing and discovering himself. Mr. Ahlgren is the Assistant Director of College Counseling. He has been a counselor, teacher, and coach at Gilman School (MD), University Liggett School (MI), and Casady School (OK). Most recently he has served in the financial aid office at Johns Hopkins University. His professional commitments include serving NACAC as a national delegate (2006-2008) for the Potomac Chesapeake ACAC, where he also served as Chair of the Membership Committee. From 2002 through 2005, he has been a Mentor and committee member in the Camp College program for New York State ACAC and Michigan ACAC. From 2004 to 2006, Mr. Ahlgren was director and faculty member for NACAC’s Tools of the Trade program for new college counselors. 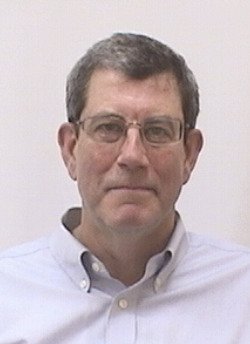 More recently, Carl has also served on the Board of Directors and as Board Secretary for ACCIS. Mr. Ahrlgren lives on campus. I am not teaching an academic class this year, but one of my favorite fall duties is reading and reviewing application essays for VI Formers. I've learned so much about the seniors, but also about St. Mark's and the richness of student experiences here. I've heard about Neon, and I've read about Broadway Night, which I am really looking forward to. I also especially like the contrast between the formality of Chapel with the easy going informality and humor of School Meetings. I really liked the three flavors of wings we had a few weeks ago! I also like a lemonade-iced tea combo. It's great that there's fresh spinach every day. As I was leaving Baltimore, a good friend gave me some very colorful socks as a going-away present. I guess this might be my favorite right now. Whenever I'm on a long drive, I end up listening to Son Volt. That's my go-to music I suppose... but recently I've started listening to Alison Krauss, who I am starting to like very much. Ms. Kosow is the Assistant Dean of Students, Director of Student Life. She is coming to St. Mark’s from Tilton where she was the Media Integration Specialist and worked in the Dean of Students’ office, organizing student activities and leadership, as well as helping to oversee Residential Life. Ms. Koscow will be coaching field hockey and tennis. She is also the House Head of Gaccon. My favorite part of organizing weekend activities is the opportunity to interact with the entire student body and learn about individual interests. Already I have learned that we have students who sing acapella, dominate on the knockerball field, create amazing works of art and more. My goal is to integrate these individual interests into the weekend activities offerings. I am really looking forward to being a part of Groton Week! Flik dining creates wonderful dishes, but so far my favorite has been their mussel and shrimp dinner. Although I willingly live in New England, I am not a fan of cold weather and therefore anything polar fleece is my best friend in the winter. I own fleece sweatshirts, sweatpants, jackets and even fleece sheets and blankets. My favorite fleece item would definitely be my Patriots jacket. That all depends on my mood. I enjoy working out to Beyonce, relaxing with James Taylor, hanging by the pool with Jimmy Buffet and working in the office while listening to Thomas Rhett. 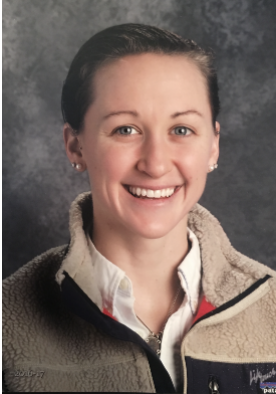 A SM alum, Ms. Finnerty is a graduate of Bowdoin College where she majored in psychology and french. While at Bowdoin, Colleen was a field hockey and ice hockey captain. She is joining us from Holderness School in Plymouth, NH where she taught French and coached field hockey and ice hockey. At St. Mark's Ms. Finnerty is teaching French and Psychology, and coaching field hockey, ice hockey, and softball. She is living in Gaccon along with her dog Buckeye. I enjoy watching my students develop a sense of self-worth and pride in their achievements, no matter how small or seemingly insignificant they may be. Each person brings a different experience and perspective to the classroom, and their learning is impacted by those experiences. I hope to provide a space where students can share their experiences, take risks, and expand themselves and their thinking beyond what they previously thought was capable. Having graduated from St. Mark's, none of the traditions strike me as unusual. As a day student, I became especially fond of Cloister Ball, playing daily as I waited for my ride home. I still love a good game of Cloister Ball! Flik does a wonderful job in the dining hall, and it may be too early to declare a favorite meal. However, I am a sucker for a good potato chip, and those warm chips in the Dining Hall are amazing. When dress code hours are over, you will rarely see me around without a hat on my head. I own upwards of 35 hats that I have accumulated over the years. What started as an easy way to tame the 'whispies' of my hair has become my comfort zone. I love Hootie & the Blowfish. They come together again in August of each year to play one concert in South Carolina, the state in which they met and formed. Hopefully, I make it to the concert one year! Mr. Corliss is a graduate of Tabor Academy where he was a 4 year rower and captain of the crew team. He then went on to Wesleyan University where he earned his Bachelors and Masters degrees in Biology. Caleb has been teaching Middle School science as well as 9th grade Environmental Science and upper-level science electives at the Darrow School and most recently at Harpeth Hall School in Tennessee. At St. Mark's Mr. Corliss is teaching Advanced Biology and Advanced Environmental Science, as well as coaching crew and basketball. He is living in the Coe along with his wife and their puppy named Pip. My favorite thing about teaching is the opportunity to see students grow and feel empowered by their progress. So far at SM, I think I'm most surprised by the animal heads in the dining hall. I love seeing the younger faculty children get excited about them (or roar at them), but there's also something creepy about having them around all the time. So far, my favorite dining hall food item is ice cream sandwiches, though there was a dinner where I took the last one and felt pretty bad about it. My favorite articles of clothing are jeans lined with flannel. I'm waiting to be able to wear them comfortably in cold weather. My favorite band has got to be Annie Clark aka St. Vincent. She's not the hero we deserve, but she's the hero we need. Mr. Valitutto has come to St. Mark’s from Kent School in Connecticut where he taught math, ran the math team, and oversaw the weekend activity program. Additionally, he has coached football, intramural basketball, and track. Mr. Valitutto is a graduate of Alfred University where he majored in math and chemistry. At St. Mark's Mr. V is teaching math and coaching football and basketball. He will also be the House Head of Coe, where he lives with his wife, Leah and cats Lucky and Sunny. My favorite part is getting students to challenge themselves with difficult questions and seeing them realize that the lessons learned in math class extend beyond the classroom. I haven't had a chance to see too many traditions in action yet, but I appreciate how we gather as a school every day. Hmm... probably the sugar cookie squares. My shiny purple suit - it looks great (obviously!) and brings up lots of great memories. Tricky one... I guess I'd have to say the Decemberists. Ms.Zhu is an Admission Counselor and Assistant Director of Community and Equity. Before moving to the U.S., she was an ESL teacher in Hong Kong for 5 years. She has completed her Masters in Language & Literacy from Harvard Graduate School of Education last Spring. Ms. Zhu has travelled extensively throughout her life, and most recently has gotten to know SM through her work Envoys. She loves Zumba and K-pop dance. She is living in the Main Building. Getting to know each student and see them develop their potentials. I love the chapel talks, especially when students are sharing their personal stories. One-piece dress, because you don't need to think about what else you need to wear in order to match it . Mr. Gayle is joining us as an Assistant Director of Admission. He is from Jamaica and studied Anthropology, African Studies, theatre and music at Macalester College and has a particular interest in global education. He has just completed his Master's in International Training and Education at American University. Mr. Gayle is an upbeat, outgoing educator who is excited to embrace all aspects of boarding school life at St. Mark's. He is living in Coe. I work in Admissions so I'm not formally teaching at St. Mark's (at least not yet!) however, I thoroughly enjoy interacting with my advisees and sharing our process of transitioning to St. Mark's together. My favorite part so far of being in admissions is experiencing our current community and then meeting prospective students and families that seem like they would be a great fit here. I also like seeing prospective students’ eyes light up when I am telling them about St. Mark's, who we are and what we have to offer. Even though I was unable to attend because I was at admissions fairs off campus, I always thought that the Blessing of the Animals chapel would be interesting, fun and entertaining. Hopefully, I will be able to witness it in the future. Since students constantly talk about Groton night, I'm interested to see what that's all about! Weekly chapel services and seated meals were customs I haven't really practiced since I was in boarding school back home in Jamaica- so, it was interesting trying to get re-acclimated to those customs. The food is quite good here so it's hard to pick one meal. That hasn't been working out too well as I may need to double up on the exercise. Weirdly enough, I really like the flavored water and the spread of veggies (I'm not known to be a healthy eater!). It was a stylish ring that was gifted to me by a store owner on the beach in California. She liked my energy so gave me the ring for free. I say this, but I misplaced it recently while traveling for admissions. :( So now, my favorite article of clothing is my St. Mark's belt. Mr. Kuklewicz is our Chief Financial and Operations Officer (CFOO). As such, he oversees the School’s business, financial, investment, facilities, human resources, risk management and operational functions. A graduate of the University of Maryland, and a Certified Public Accountant, Mr. Kuklewicz has served for the last eleven years as Chief Financial Officer for The Langley School in Northern Virginia, where he was responsible for the finances and operations as well as some major construction projects. Before becoming Chief Financial Officer, Mr. Kuklewicz served as the Controller at Langley. He lives on campus with his wife, Kathleen, daughter, Libby, and their dog, Cora. I'm working in the business office as the Chief Financial & Operations Officer. I enjoyed learning about the cloister ball game. My running shoes: because they make me want to run or work out! Favorite "Old" Artist: The Police. Current: The Killers. Ms. Moreno is joining our Modern Language department and will teach three sections of Spanish. Ms. Moreno was a professor at George Washington University and Worcester State University and lives in Southborough with her family. She received her Masters in Spanish from Fundacion Universidad de la Rioja and Universidad Complutense de Madrid. Learning. You learn when you teach and you learn from your students. The dogs walking in the chapel was pretty unique. Flannel pajamas in the winter.